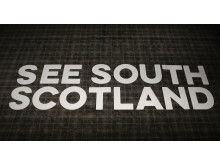 A film encouraging visitors to ‘SEE SOUTH SCOTLAND’ has been unveiled by VisitScotland, as the initial phase in a major two-year campaign to market the whole of the South of Scotland as a tourist destination across its global digital channels for the very first time. 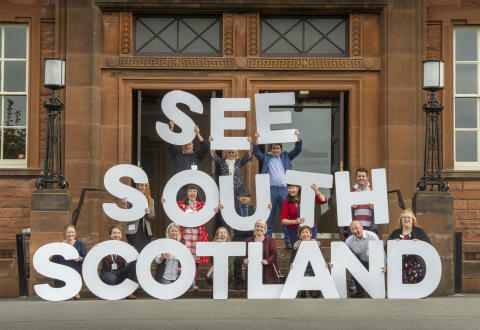 The See South Scotland campaign will promote the south of Scotland as a tourism destination to key UK and European markets, focusing on coastal and forest activities in particular. The £500,000 additional funding from the Scottish Government was announced by VisitScotland at its annual tourism conference in Dumfries in October. 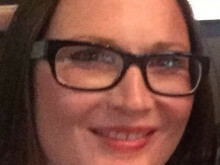 It will target potential leisure visitors from key domestic and international markets, encouraging them to visit the South of Scotland as the main driver for their visit to Scotland through the development of online content, foreign press trips, partnerships and digital marketing campaigns. In addition, nine tourism businesses from the Scottish Borders and Dumfries & Galloway travelled to Amsterdam at the end of October, as part of the national tourism organisation’s first European Business Development Mission. The film – which attracted higher than average views reaching more than 1,600 in its first week alone - follows a family of four as they take a road trip through the Scottish Borders and Dumfries & Galloway to explore the coastal and forest activities on offer. The family embark on an adventure including adrenaline-fueled cycling at 7Stanes Glentress in Peebles, the rugged coastline of Mull of Galloway in the west to St Abb’s National Nature Reserve in the east. They explore the Cairn Holy Chambered Cairns in Newton Stewart and the aerial adventure at Go Ape Glentress before taking in the spectacular night sky of the Dark Sky Park at Galloway Forest Park. Tourism Secretary Fiona Hyslop said: “Tourism is one of Scotland’s key growth sectors and we want to enable the sector to grow sustainably. “We are committed to promoting the South of Scotland as a tourism destination and this video is part of a larger, South of Scotland specific marketing campaign. The video and wider campaign highlights the South of Scotland’s unique scenery and tourism attractions including exciting adventure tourism and mountain biking opportunities. Paula Ward, VisitScotland Regional Leadership Director, said: “This film really does bring to life the dark skies, dramatic coastline and some of the world’s best walking and cycling routes on offer across the south of Scotland. “It is a very exciting time for tourism in the South of Scotland with the launch of this ambitious two-year campaign to develop and deliver an ambitious, targeted and co-ordinated marketing programme that promotes the wealth of fantastic experiences on offer across the South of Scotland to European markets for the very first time. “The time is right now for tourism businesses in the Scottish Borders and Dumfries & Galloway to get involved and help encourage visitors from across the world to See South Scotland for themselves. A dedicated toolkit has been created for tourism businesses so they can access campaign material - I would encourage everyone to get on board and shout about the fantastic area where they live and work. They include a feature written by young female author Beth Cochrane talking about the importance of Wigtown Book Festival; a feature on dark skies which includes the Dark Sky Park and Moffat; an historical piece about the textile industry in the South of Scotland and the story of an English family who fell in love with Scotland while on holiday and moved to open Rigg House B&B in Kirkconnel in Dumfries & Galloway.